The nuraphone plays a range of tones into the ear, and then measures a very faint sound that your ear generates in response to these tones called the Otoacoustic Emission (OAE). This tiny signal originates in the cochlea and vibrates the ear drum, turning it into a speaker and playing sound back out of your ear. Yes our ears make sound! This sound is about 10,000 times smaller than the sound that went in. Once the nuraphone has created your hearing profile it sonically moulds your music so that it matches your hearing system and delivers all the detail of the music you love. Once personalised you can listen to your favorite music in stunning detail from your favorite player. What does my hearing profile mean? 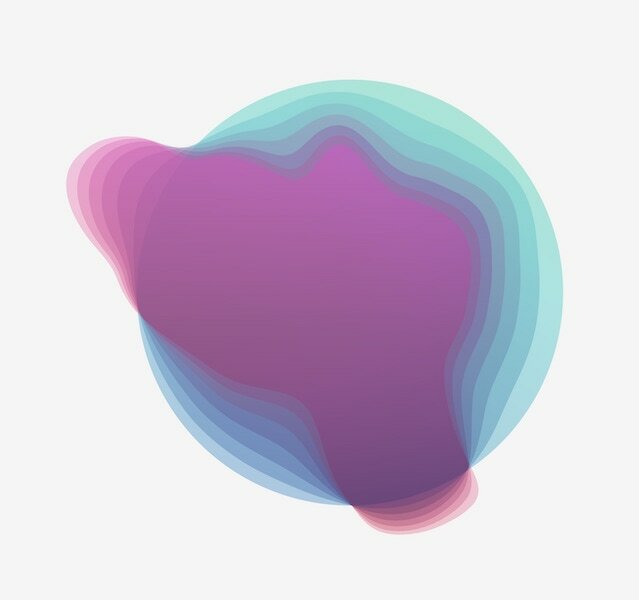 The nura app creates a unique hearing profile that represents how you hear. Your hearing profile has a colour which helps you to quickly recognise it belongs to you. The shape of the profile contains all the information about your relative hearing sensitivity to different tones. Our hearing is unique. At low notes and high notes and in left ear and right ear. It's not about good hearing or bad hearing. nuraphones pick two colours that are unique to you so that you can immediately recognise your unique hearing signature. What does the shape of my profile mean? The shape is our hearing sensitivity wrapped around a circle. Low notes at 12 o'clock and higher notes as the dial travels clockwise. The further away from the centre, the more sensitive you are to those frequencies.